Forrester's CX Forum - CCO's and Things that Make You Go "HMM"
Forrester Research's recent Customer Experience Forum in NYC just ended.. I wasn't able to attend due to a recent deluge of travel and client obligations, so I was keenly interested in hearing the outputs of the forum, so I've been reviewing some notes and key takeaways from the Twitter hashtag #cxp11. On average, chief customer officers (CCOs) have been in their jobs for two years or less time. Very few have backgrounds in customer experience. Instead, they have backgrounds as general managers, marketers, and sales leaders. CCOs are heavily concentrated in the business services, IT, and financial services industries, although you can find them in many other industries, as well. The majority of them sit on the executive management team at their firms, and they are highly likely to report to the chief executive officer (CEO) or the head of a line of business. They spend their time evangelizing customer experience, creating a shared understanding of customers, defining customer metrics, breaking down organizational barriers, building a customer-centric culture, and demonstrating a long term financial impact. My first reaction? HM! 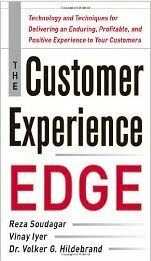 I can't help but wonder how someone with no background in CX can tangibly, meaningfully and action-ably evangelize CX beyond the use of hype and buzzwords..... much less build a CX focused culture inside an organization. My next reaction? Questioning. Why didn't this presentation cover the hiring criteria the companies had for these positions? Boy, that would have been insightful! I'd like to know how these companies define the criteria that qualify a candidate as a potentially strong CCO -- quantitatively and qualitatively! My next reaction? Perplexed. Why aren't companies aren't appointing more CCO's who have a background managing the SERVICE END of customer management. We can argue that sales is a front-line arena -- but there's no mention of CCO's coming out of SERVICE-CENTERED arms of business. Wouldn't that be a natural approach, if service is truly critical to creating great experience. My final thought? Challenging. Why we aren't appointing CCO's to positions who have an understanding of Customer Experience management --- or in this technical age, at least experience with Information and Interaction Design or even Human Factors? Are they that hard to find? Is this a failure in leadership's understanding of the critical nature of such skills? Is it an inability to FIND people with these skills PLUS a mature understanding of business and industry? Filing this under "Things that make you go 'hmmm'." You can find Forrester's Key Takeaways here. Marketing Profs B2B Forum - Follow Up & Slides! I'm home from the Marketing Profs B2B Forum in Boston. I have to say, I love the Marketing Profs conferences. After speaking, writing and teaching for them since 2006, the team feels a bit like virtual family to me.They keep it real, bring in fresh, smart speakers, focus on providing real value targeted to their audience. The value the broad array of attendees get is real and tangible. They treat their speakers well and keep things relaxed. So, kudos for a job well done, guys. I met so many great folks there and was happy spending time with friends Ann Handley Mack Collier, Christina "CK" Kerley, CB Whittemore, and new friends Laurie Kingsman from Ritchie Brothers Auctions, Kate Putnam from Package Machinery Company, Micheal Brenner from SAP, Sam Fiorella and Brandi McCallum from Sensei Marketing, Mika Lofton, Katie Clark, Bob Knorpp and many others. I'm so fried right now I can't possibly list everyone. So I will probably edit and add more people to this post later! Gotta say, though -- one of the big highlights of the conference for me was meeting Nancy Duarte, author of "Slideology and her new book "Resonate." Nancy is a brilliant communicator, an inspiring author and a darned nice person. I cannot say enough about her but sufficed to say, I'm enough of a fangirl - to stick my feet in my mouth in front of her when trying to be witty. (Fortunately, she's very gracious, too.) I bought her new book -- and I took time to read a bunch of it on the way home. It's smart and inspiring -- and ANYONE that wants to be a better communicator should read it. The Workshop I ran at the B2B Forum was full of smart, motivated people and I was honored they attended. Again, we did a real-time session reviewing the digital media footprints of 2 brands, distilling down some ideas for fostering a better experience within and across those digital and social properties. We spent about 30 minutes on each brand. Note: the wireframes that were provided weren't design recommendations but a visual "AFTER" idea to get the brands thinking about what could be -- what treatments might change on a few screens. While it was a smaller crowd, I had a 35% rate of request for services from this session. So the ROI of this gig was terrific. Got thoughts, insights? Did you attend? Would love your comments! I'm currently attending and speaking at the Marketing Profs B2B Digital Forum in Boston. It's great to hook up with some old friends and colleagues and meet other friends face-to-face that I haven't had the pleasure of meeting with yet. The session I'm doing is a Digital Media Makeover Session - a 75 minute live workshop looking at the comprehensive web, blog, Facebook, twitter, linked in, Wiki (and more) presences of two very different brands. It should be fun and we have a lot to cover. So far, I sat in two great sessions. The first, Enterprise Social Media with David Thomas and Mike Barlow raised some great issues individuals in B2B enterprise face when trying to embrace, execute and coordinate social media-driven activities. I loved Christina Kerley's session on Mobile. CK is a fount of knowledge and a fireball of energy that lights up a room. I'm sitting here next to Paul Gillin (Doh!) and realized that my session runs concurrently with his and several other great ones! Do you think it'd be terrible to hang up a sign outside the door that says "FREE BEER?" I mean, no pressure or anything. In my last post, I mentioned that we (Me, Rob Wu of CauseVox, Esteban Contreras of Samsung and Chris Noble of Cause Media Group) were presenting a case study on SXSW4Japan at Blog World Expo last week. We were flattered to be asked to present what we learned in the course of our activities there, and were delighted to see Blog World Expo start its own charitable effort to raise funds for the Red Cross to support Tornado Victims after the tragedy in Joplin and the southern US States. At the end of our panel, we provided "10 Tips For Awesome, Grassroots, Online & Offline Social Mobilization" which can apply to any social effort or movement - and especially for cause mobilization. For your convenience, I thought I'd provide those tips here. If you have thoughts, leavea comment! 1. Move Quickly. Speed is critical as situations build momentum and people look for a way to offer support – especially when it comes to disaster relief. The quicker you offer an immediate outlet where people can help -- the more successful you are likely to be in drawing attention, engagement and participation. Start by developing a reasonable, clear goal (ours was $10k for Japan) and make sure your goal, charity and scope is clear to everyone. Rather than starting from scratch, find turnkey ways to build out a donation site. For example, anyone can use a platform like Rob's CauseVox platform to set up a customized fundraising effort in minutes -- and transition all online donations to a charity of choice. The site even allows people to start fundraising pages under your main page to rally their own circles of influence. Set it up, make the communication on the page crystal clear, and get people talking about it. 2. Stick to the Cause. Everyone involved should be about the cause and little else. The people willing to lend themselves, or their brands, to promote and further your cause should be your target audience – not people willing to lend their brand to promote their own cause. Learn to quickly distinguish motives. There are some complexities with say, negotiating corporate sponsorships that cannot be avoided - like processing transactions, agreeing on communication points, etc. Beyond this, however, we found that, in general, there seemed to be a connection between the time people wanted to spend “negotiating terms” and the level of self interest they presented to us. Kindly encourage parties with their own goals, motives or selfish-interests to start their own project if you sense there's not a match. 3. Keep it simple. Ideas that require jumping through hoops, a ton of discussion, complicated production, distribution or crazy acrobatics may waste time and/or money that should go to your cause. For example: We had some ideas for things we wanted to do on our fundraising page that equated to customization that would have taken up too much valuable time, so we scrapped the ideas, settling for “good enough.” We also discussed having t-shirts made. However, when we considered production the complexities of ordering, cost, sizes, distribution and the rest ---> it became a non-starter for our particular cause. Our focus was to raise as much money as we could for Japan. T-shirts were a nice idea, but it would have taken us away from our vision and redirected funds that should go to help people. We decided to invest our time in a manner that drove more momentum for the charity, and that served us very well, in the end. 4. Empower People. When people came to us to ask what they can do to help, we answered with a question: "What do you do BEST?” We did our best to find a way to focus peoples’ energy in a way that best leveraged their natural talent or skill. On our team, it fell together in a somewhat divine manner. Rob was the technologist with the platform. Deb Ng is a conference organizer for Blog World, and she knew everyone in the Blogger lounge. Natalie Pethouhoff was the PR pro, with an impressive array of business and media contacts. Hugh McLeod (of Gaping Void fame) drew us a logo. Jessica Lin had this incredible knack for juggling things like community management and Denice Crowell is a copy writer and music freak. Me? Well, I am a prolific multi-tasker with a gift of coordination and a few influential friends. We divided and conquered together in a pretty synergistic way and we kept our minds open when others approached us with contribution ideas. As people step into roles – make sure their mandates are clear to everyone – and let them become the go-to-resources for specific things. Having clear roles will help prevent confusion and make sure messages being delivered are clear and consistent. 5. Partner Creatively. We worked hard to foster the practical and strategic partnerships that would fuel our success. Beyond forming a partnership with the Red Cross, we also teamed up with SXSW Leadership, and later, the City of Austin through the Mayor's Office. To their credit, they bent over backward to support our cause at every turn, and also supported our extension into the music track at SXSW. We worked with Hurricane Party and other grassroots fundraisers at the conference. From the lounge, Samsung promoted our efforts, hosted an impromptu panel on our efforts, tweeted about our cause and initiated a campaign on our behalf that drove an additional $5,000 to our effort. Joseph Jaffe auctioned off a keynote for $15,000 to Lifelock for our cause. Natalie not only paid for our printing out of her pocket, she worked magic to secure a number of corporate sponsors who donated about $500 each from the trade show floor, which drove up online donations significantly. Later in the game, the very talented Hanson brothers were introduced to us. They linked their effort to produce a 12 hour streaming online telethon with SXSW4Japan, and did an amazing job. They even produced a 40 track album with proceeds going to SXSW4Japan, which is also available on iTunes. In the end, everyone brought something unique to the table, and together accomplished much more than any of us would have done individually. 6. Embrace Your Community. We started the fundraiser because we were all, in some way, connected or touched by to the tragedy in Japan. We started it while we were in the company of thousands of friends who were champions of technology, cultural change, social media, business in the cloud, iterative development, crowd sourcing and much more. We had a chance to make those connections more meaningful and engage the community online AND offline. Through interaction and discussion, we fostered tighter connections with the people in our networks, even reaching beyond them to build new, meaningful connections. This was especially true with regard to our interactions with Japanese attendees at SXSW. Their input and appreciation for our efforts increased the immense burden we felt for the Japanese people and galvanized our determination to make a difference on their behalf. The relationships we built we will take with us long after the campaign is over. 7. Become a Story Teller. This is something we would have done better if we'd just had more time in the day. We met so many people at SXSW with compelling stories to share. We were so busy it was hard to post updates on our sites and share those stories with others. However, if we had to do it all over again, we would have shot more video (ugly or not) and posted more updates as we went along in the process. We did manage to get a few posts up and later in the game, even shot video interviews with some of the Japanese attendees we met at SXSW. We strongly recommend determining up front to share your story as it unfolds (the cause, your activities, key “happenings”) and reserve the time to do this. Share it in as many channels and formats as you can (Twitter, Hashtags, Blog Posts, Media, Video), so the word can spread more readily to other people. As you do this, people will discover your effort and get to unwrap it – one layer at a time, and experience less fatigue as an ever-fresh, real, human message is delivered. 8. Iteratively Build on Success. In any grassroots, rapid, crowd-sourced movement, you will rarely score perfection. Without question, there were weaknesses in our approach, but we didn’t make that the focus of our effort. Don't be afraid to make mistakes. Aim for excellence but be okay with good enough. Quickly note what works and what doesn’t work. Accept your limitations and when something works well, improve upon it. Working with SXSW and the city of Austin to extend our effort to the music track led to our involvement in the Hanson Telethon, which rallied an array of impressive, talented artists and musicians to our cause. Go with the flow, as new opportunities present themselves attempt to keep your mind and heart open to new ideas and activities. 9. Be Respectful. When you're engaged in something like this it's easy to get wrapped up in your own reality. You can push for donations, push for tweets, push for mentions at speeches, but you can also be too pushy. I'm sure some people got sick of us blabbing about this outreach and I know on at least one occasion, I went too far in talking about it. It’s important to realize that some people may not share your convictions or your perspective. For example, we ran into a tech editor for a large media outlet that was highly suspicious of our effort. Prepare to meet those who are apathetic, or skeptical of you or your cause. Be prepared for people who will misjudge your motives or criticize your work (while offering nothing constructive). Smile at them. Be gracious. They are usually a very tiny minority. Be open and honest and address their concerns respectfully. The best you can do is share your story, make your mission and requests (Tweet, share, donate, watch video, buy, etc.) clear. After that, respect people's right to form their own opinions and take action as they see fit. 10. Celebrate Giving. We can't say enough great stuff about the community that contributed to our effort with promotion, volunteering and by making donations. In fact, we found ourselves walking around with wide-eyed gratitude and using the words “Wow” and “Thank You” frequently. We made an earnest attempt to give everyone credit. We attempted to thank everyone (which became an impossible task) for their overwhelming support. We did our best to place everyone in the spotlight – which is why the array of blog posts and media articles highlighted different angles of the effort – and different personalities – involved in our campaign. We loved this because it celebrated the community that was involved in the charity. After all, it was all about people helping people from the very start. In the end, that’s what successful, grassroots, crowd sourced efforts are about. We hope you find these insights helpful, as we continue to support Japan while returning to our client work, blogging, etc. We also want to thank Blog World Expo for hosting us. Please keep in mind that while the conference and campaign are officially over you can still make a donation on the SXSW Cares / SXSW4Japan website. We are still waiting for one outstanding $5k corporate donation, which will put us at just under $130k in online donations alone. This doesn't include the hundreds-of-thousands that were donated via text message direct to the Red Cross or funds raised through the SXSW4Japan Benefit Album. While we've said it before, thank you to everyone who participated - there are literally thousands of you - and we hope you will remember Japan and continue to support this country as they rebuild for the future.